Stapleton, who was raised in Kentucky, sings with the power of a classic Southern rocker, but modulates his rawness with a great sense of soul phrasing and a seasoned balladeer's ability to scale down. 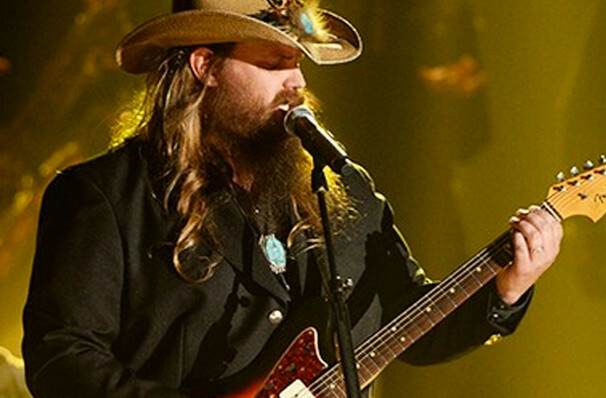 Country crooner Chris Stapleton's legacy reaches far beyond Nashville's city limits. Having penned songs for the likes of Adele, Sheryl Crow and Alison Krauss, there's a slim chance that you've not heard a tune created by the prolific songwriter. In 2015, the stetson-toting country gentleman stepped from out of the shadows with Traveller. In 2017 he released From A Room: Volume 1, followed later in the year with Volume 2 . 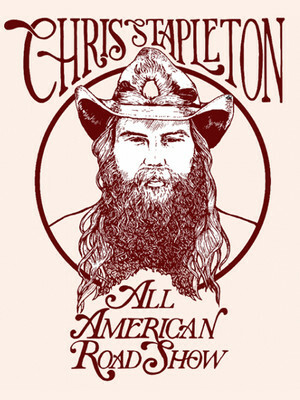 Now in 2019, Stapleton heads out again on his All-American Road Show! Shying away from gimmicks, Stapleton puts on one heck of a live show by keeping things simple and keeping the spotlight on the music. The outlaw performer often plays together with his wife, and their harmonious yet stripped back set has been described as haunting, raw and spiritual. There are no fist pumps or party anthems here, just good old fashioned southern music that would make Johnny Cash proud. December 2018 saw him nominated for three GRAMMY Awards: Best Country Album (From A Room: Volume 2) and Best Country Solo Performance ("Millionaire") as well as Best Pop Duo/Group Performance for his performance on Justin Timberlake's "Say Something." About West Palm Beach Theater: We are an independent show guide not a venue or show. We sell primary, discount and resale tickets and prices may be above or below face value. Sound good to you? Share this page on social media and let your friends know about Chris Stapleton at Coral Sky Amphitheatre. Please note: The term Coral Sky Amphitheatre and/or Chris Stapleton as well as all associated graphics, logos, and/or other trademarks, tradenames or copyrights are the property of the Coral Sky Amphitheatre and/or Chris Stapleton and are used herein for factual descriptive purposes only. We are in no way associated with or authorized by the Coral Sky Amphitheatre and/or Chris Stapleton and neither that entity nor any of its affiliates have licensed or endorsed us to sell tickets, goods and or services in conjunction with their events.